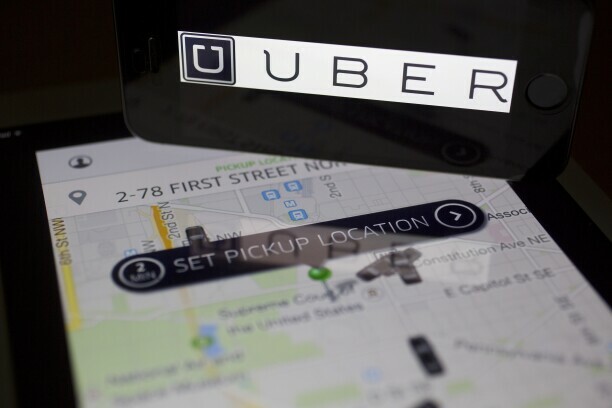 Plaintiff Uber drivers Sasha Antman and Gustave Link didn't adequately allege that they faced an increased risk of identity theft due to the data breach, a district court judge ruled May 10, 2018, in siding with the car-hailing company. Uber Technologies Inc. paid thousands of drivers less than they were entitled to, a federal judge in California ruled. Now the ride-hailing company likely heads to trial to determine how much the drivers are owed. “I believe that this is the first case that they’ve lost on the merits in a national class action,” John Crabtree, an attorney for the 9,602-member class, told Bloomberg Law March 9. They rang up $1.4 million in fares on which the company paid them less than it was supposed to, he said. The dispute arose out of a $1 per trip “Safe Rides Fee” Uber began charging passengers in April 2014 to fund driver background checks and safety campaigns. Uber said it would assess the fee on riders and that it wouldn’t affect drivers’ pay, which was calculated as a percentage of the fare. The minimum fare was $4 per ride. Under the terms of the company’s agreement with drivers, it wasn’t clear that minimum fare trips were subject to the safe rides fee, Judge Yvonne Gonzalez Rogers of the U.S. District Court for the Northern District of California said. “By extracting $1.00 from the ‘Minimum Fare’ before making its remittance to drivers, Uber breached the plain terms of the Agreement,” she wrote in a March 8 ruling for the drivers. The ruling decides only the question of liability. The amount of damages drivers are due remains to be determined, Crabtree said. He anticipated a trial on damages. “We are reviewing the decision,” Uber told Bloomberg Law by email March 9. Crabtree, Charles Auslander, George Baise Jr., and Brian Tackenberg with Crabtree & Auslander, LLC in Key Biscayne, Fla.; Andrew August with Browne George Ross LLP in San Francisco; and Mark Morrison with Morrison and Associates in Seattle represent the class. William Stern, Claudia Vetesi, Alexandra Laks, and Lucia Roibal with Morrison & Foerster LLP in San Franscisco; and Ariel Ruiz, in-house counsel with Uber in San Francisco represent Uber. The case is Congdon v. Uber Techs., Inc., N.D. Cal., No. 16-cv-02499, summary judgment, class certified 3/8/18.